The Madras girl Rithwika is sharing screen space along side of Rajinikanth in the upcoming film Kabali and is now in all praises for Pa Ranjith. In a recent promotional interview, Rithwika said that her performance in Madras made her to land in Kabali and Pa Ranjith has made my dream come true finally. I thank Ranjith for giving an apt role opposite to Superstar Rajinikanth in this gangster film. Rithwika further added that she is keen to share screen with Kamal Hassan and awaiting for the opportunity. 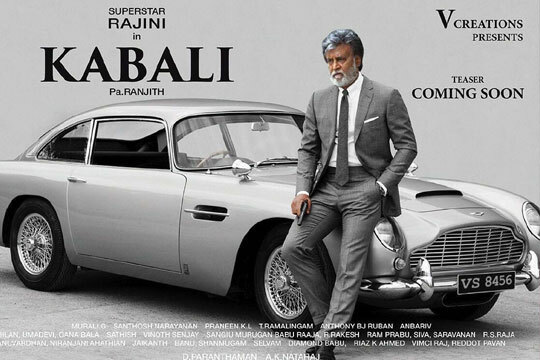 Apart from Kabali, Rithwika has a bunch of films in her kitty. Write & Share about "Rithwika praises Pa Ranjith for Kabali | Kabali Tamil Movie News | Cinema Profile" !